Just before we arrived in Amsterdam I had been reading this Pulitzer Prize winning novel and absorbing the atmosphere of the city through the author’s words. Although most of the book’s action takes place in the United States, the denouement occurs in Amsterdam in the depths of winter and despite the bleakness of the weather in the novel, there was an appealing sense of warmth, even cosiness, in the way it was described. The weather was certainly quite bleak when we stepped out of the grand Centraal Station, a tourist attraction in itself standing proud and quite magnificent in the autumn drizzle. We made a dash for the tourist office across the square and picked up our I amsterdam City Cards which had been provided for us by Amsterdam Marketing so we could make the very best of our short stay in the capital. Free public transport provided by the card was a godsend just at that moment. We hopped on Tram 26 to trundle to the next stop so we could check in to the Movenpick Hotel, our base for the weekend (more on the hotel in a separate post….I know, I am a tease). A quick turnaround and we were soon back at the station. The rain was still falling…sideways…so we opted to take a canal cruise, many of which depart near to the station. Holland International’s 100 Highlights tour is free with the city card so we happily hopped aboard, saving ourselves about 30 Euros in the process. This is when we realised that, no matter how fabulous a canal cruise sounds, it would have been so much better without the rain. Keep the windows shut and they steam up so you can’t see very much: open the windows and the rain comes in and annoys your neighbour. They do provide small hand-held window-wipers but it’s a full-time job and, tempted as I was to climb on the roof, they were a little ineffectual. If only we had waited until the Saturday when the weather was glorious: we saw many boats gliding up the canals, roofs down, with happy smiling faces peering out. One of our better decisions, after a short rest and hair-dry back at the hotel, was our evening visit to the Van Gogh Museum ( and another 30 Euros saved with our cards). On Fridays the museum opens until 10pm and the vibe is definitely chilled. There can’t be many countries in the world that offer cocktails and DJs playing mood music while visitors amble around some of the most famous and priceless artworks in the world. We even decided to have our dinner here at Le Tambourin cafe to save rushing our visit. Dinner, cocktails, DJs and VJs (video jockeys I presume?) plus a large helping of sunflowers to boot. Top night. The sun broke through on Saturday morning which I suspect was at least one positive thing for the large number of people queuing to visit Anne Frank’s House. I can’t stress this enough but if there is only one tip you take away from this post, book your tickets online for this museum in plenty of time before you go. A small number of tickets are available for each timed slot which gives you access to a separate entrance to the museum. If you don’t pre-book you will have to queue up…possibly for hours. The museum is sensitively run so visitors are given time to reflect on the story of Anne, her immensely moving diary and contemplate what it must have been like to live under such conditions. Such reflection cannot be rushed. Anything you choose to do after visiting Anne Frank’s house is bound to feel somewhat inappropriate. A time, then, for a walk along the canals, looking in shop windows, admiring the elegant houses. Amsterdam has plenty of lively streets, like most capital cities, but there are an extraordinary number of exquisite properties just a step away from main thoroughfares which give visitors the impression of walking through a small town: a little like seeing Mews houses off the main streets in Central London. Suddenly you are aware of residents going about their daily business and that’s when you feel a connection and a sense of what Amsterdam is all about. We were provided with the I amsterdam City Card by Amsterdam Marketing. The Anne Frank Museum kindly allowed me complimentary access to the house. I'm so annoyed it rained on your cruise! Such a shame. I want to return to Amsterdam one day as I only shot through in the early 80's to get somewhere else and there is so much to see and do. What a fabulous card the I amsterdam is. Definitely one to invest in. I want to see the Van Gogh museum and the Anne Frank museum, I love they make a point of allowing the guest to reflect. I hope you get the chance to go back, Mari, as it really is a gorgeous little city. The card was very useful for us as our hotel was just a little bit out from the centre – it was great to just hop on the tram and not gave to worry about it. Also excellent way to nip into museums you might otherwise ignore. I really enjoyed reading this post, especially as I went to Amsterdam last year and did many of the things which you did. I didn't get to the Van Gogh museum though – I'll have to go back another time. It's such a shame that it rained on your cruise! We didn't get to the Rijksmuseum – people probably think that should have been a must but it was an either/or decision, we didn't have time for both. I love Van Gogh so we chose him! I've been to 'The Dam', as the officianados would call it, twice now but never in the summer. Christmastime is magical with the shop windows full of fat,jolly Santas, as opposed to the alternative shop windows filled with …….em, other things! Van Gogh was such a tortured soul. His early paintings so dark, almost black and very glum compared to the later colourful starry skies and sunflowers. My favourite tourist spot was Rembrandtshuis, he was such a genius. The downside of each visit was the mens' urinals which they wheeled out at the weekends and placed on every street corner to stop the canals from being polluted. A definite hold-your-nose moment as you walked past! In the book I have just read there are wonderful descriptions of Amsterdam at Christmas- it sounds lovely. We were quite surprised at the variety in his paintings – the older ones looked as if someone else had painted them. We did see some of the urinals but thankfully didn't get too close, unlike the Red Light District where you can't help but get uncomfortably close as you walk by. Ah thank you, Sarah. I just felt I had to write about it in a personal way rather than lots of facts and opening hours. I can keep details like that for a planned future post about the city. This one felt more 'me' and I loved writing it. This is just reminded me that I should visit Amsterdam again – the last time I did was more than 20 years ago! I had never been which was so strange as it's so close. I went to Amsterdam this year for the first time, and I've really mixed feelings about it. I loved wandering around the streets, the public transport was brilliant. Things like the Van Gogh museum were a must see too. I did feel uncomfortable about the red light district, it just seemed to appear out of nowhere…maybe thats just me though. 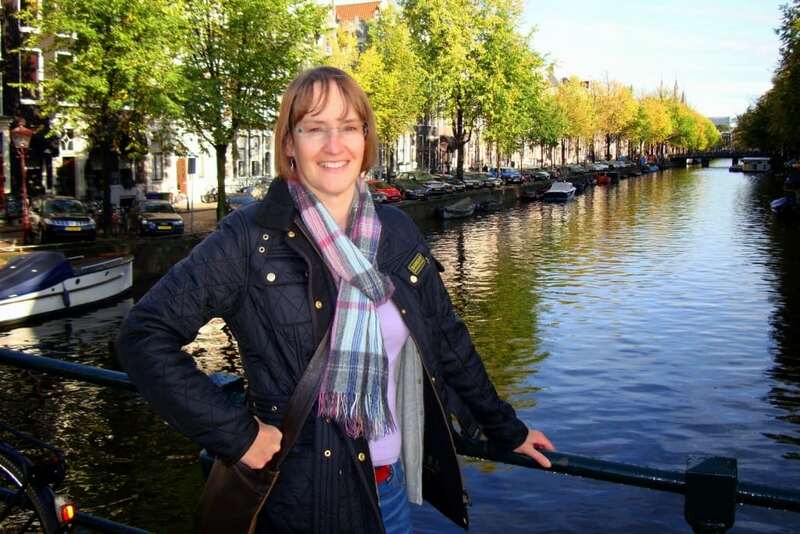 Really lovely read Trish, great writing! I felt uncomfortable about the Red Light District too – I plan to cover that in my next post. I agree, it appears out of nowhere and is very unsettling. I have been to Amsterdam lots of times, one of my bands were randomly quite popular in Holland so we used to head over regularly! Sadly because I was always with a bunch of raucous band mates we never really did the cultural thing, but I can list all the good bars! Would love to go back now with a slightly more grown up head and go to some of the places you mention! I can imagine it's a brilliant city for raucous band mates – it's such a cool place. I suppose it has an appeal for all ages and personalities – they each take what they want from the city which has so many 'sides' to it. And not a rainy picture in sight! I would really love to go to Amsterdam in the not too distant future – the Van Gogh museum would definitely be on my list. I kept my camera in my bag on that first afternoon – didn't want to show us looking like drowned rats and put people off going. Yes we really must go and see Amsterdam soon as it really is so close. After you had glided up the canal in the boat were you tempted to water ski back down? I would be. Goodness me, no, my hair was already ruined by the rain, I didn't want to make it worse. Visiting Amsterdam with my daughter is on my list in 2015 and you've reminded me of things I know I love about the city (eg Anne Frank's house) and other things that sound amazing. The vibe at the Van Gogh museum sounds amazing. Can't wait to go. It was my husband who realised the Van Gogh museum was open late on Fridays but we had no idea it was such a chilled affair. I must admit I love Amsterdam ,every bit of it, all the unique parts make it what it is. I haven't been since my husband and I started dating, blimey that's 9 years ago!!!! You're right, it's difficult to pinpoint the reason why it is so lovely – definitely the sum of it's parts. I can't believe I had never been at all. I have yet to visit Amsterdam but my husband said The Van Gogh museum was one of the best places he has ever visited. I will add to my 'must see' list. Great to hear your husband is a fan of the Van Gogh museum. We loved it for its simplicity. Sometimes we get a bit too much art in some galleries and can't handle it! It's taken me 50 years so you have loads of time! I haven't been to Amsterdam since I was a teenager, but after reading a few posts about ti recently I REALLY want to go. I wonder what you will think about it now? How much will it have changed? Going for the day reminded me how fab it is, and I am determined to go there with the family now. Yes, we had been told about going very early or possibly very late. You just have to hope everyone else doesn't have the same idea. Well worth it, though. Fab photos. I MUST get there one day. Every summer we try to squeeze a quick visit in and somehow, the plans go awry and I end up racing up and down the UK. The college girl went there a few times last term when she was based in Brussels (three hour bus ride I believe) and loved it. Great to hear College girl loved it. I think it has something for all ages and suspect people come away with their own favourite bits. Such a pain that your visits home involve too much racing around. I will be writing a separate post about what I think families with children will enjoy. It's such a manageable little city, it doesn't overwhelm you as a visitor. I am so jealous! I so want to visit it one day! Keep wishing, Otilia. Yr girls would adore it, I'm sure. I love these pictures and would love to take the kids to Amsterdam too. I'm really sorry about the rain, but in Europe, that's what seems to happen. We have been rained on in so many places (thank goodness for kagouls!) but it still sounds like a great trip. I have finished the book now – really enjoyed it, though got a bit bored in the middle. My husband and I did Amerstdam a few years back and I was not blown away by it to be honest, but we went on a coach and the 16 hr journey could be what put us off! We weren't full of enthusiasm in the pouring rain, I must admit, but once the sun began to shine and we got our bearings, we found a lot to love. You might be right about the 16 hour coach journey! So funny, this is your first Europe post I've read since confirming that we're moving to Bristol, and while I always enjoyed them before with a sort of, "someday I'll get around to that" attitude, now I am sitting up straight and taking notes! #2 has a friend in Amsterdam and just asked the other night if he could plan a visit for the spring -perfect timing! I looked up the iAmsterdam card, and it's brilliant – such good discounts! So sorry about the cruise – but do appreciate the advice. I would have thought the same thing – sit in the dry and have a look at the city. Wouldn't have expected the condensation. I have yet to read the Goldfinch and to visit Amsterdam! Your post really makes me want to do both. The Goldfinch is a very good book though quite weighty. 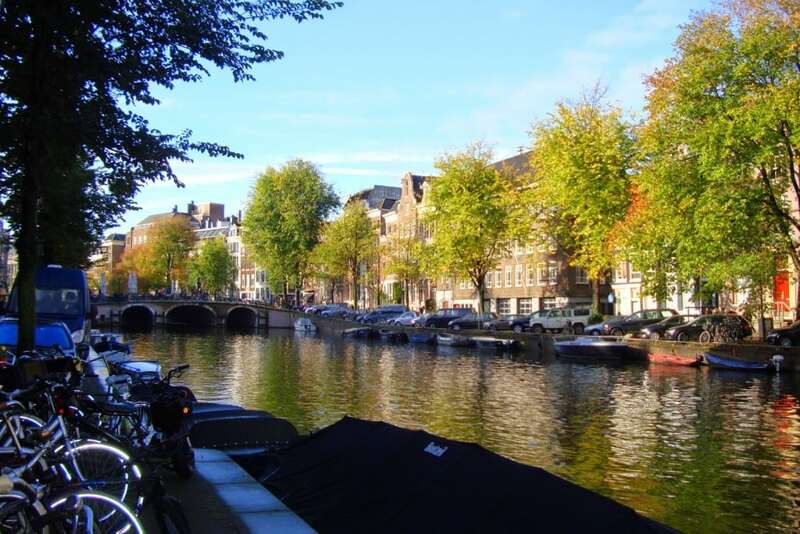 Pleased my post makes you want to visit Amsterdam. I think it's just perfect for you and your hubby. I can see you there, enjoying the art and finding the quirky places. I love Amsterdam and your pictures make me want to head back. We had a great trip a while back staying in a nearby Center Parcs and then heading into Amsterdam for a day to do Anne Frank's house and the Van Gogh museum. Agree with you about the Anne Fran tickets – lots of queuing otherwise. Now that's a great idea, Mark. I didn't know there was a nearby Center Parcs. The city is great for a day trip: even better for a longer break. 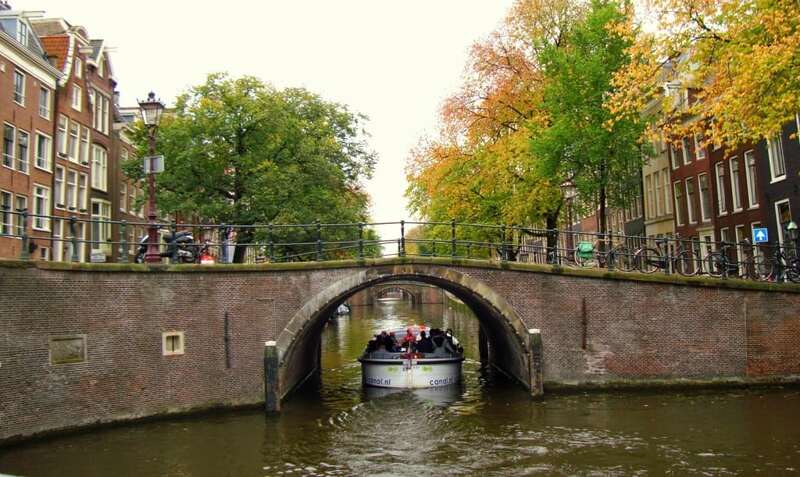 Thankfully when we returned to Amsterdam this summer, at the start of our river cruise, the weather was wonderful and we managed another canal boat trip – this time without the window-wipers. I love the idea of exploring a city through books and The Goldfinch is certainly a page-turner. You have opened my eyes to the joys of a museum and cocktails. What a wonderful idea! I shall have to try it. It was a last minute decision to try the Friday night cocktail and music evening – best thing we did. I'm sure you would love it.